Structures enclosing storage spaces or manufacturing processes. This Category includes most large storage, processing or manufacturing facilities. Most large buildings are not maintenance washed internally in a programmed regime. Therefore with time there is a build up of dust, dirt and contaminants. A product of the process within the structure. An accumulation of material and deposits blown in from the local environment/nearby processes. A combination of 1 & 2 that create an issue the structural coating was not designed to resist. How do you shut down the service a large building provides, long enough, to clean, prepare and recoat a complicated internal support structure? If the structure houses a process, how do you protect the machinery from detritus produced from stripping, grinding or sandblasting? If there is not the time or budget to address 1 & 2 what is the long term cost of partial or spot corrosion control? The Goldseal coating can be applied without extensive preparation and where the debris from preparation can be controlled. Often maintenance is long overdue and a complete strip back to the steel would be required, in order to apply a paint type coating system. 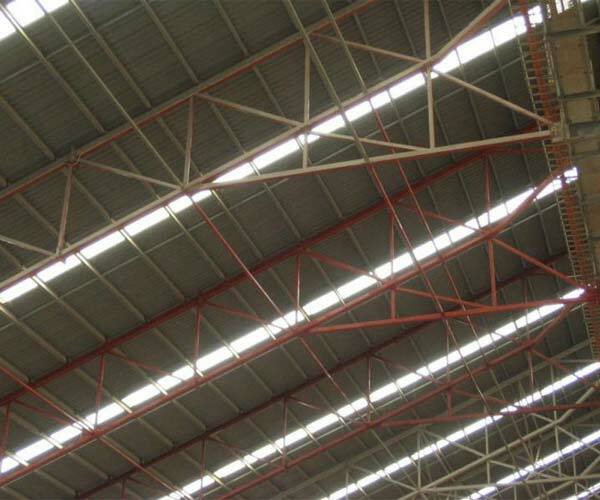 In the case of corroded Z or C purlins, Goldseal is an excellent rescue coating avoiding roof removal. Depending on the situation, Goldseal Industrial Spray Grade is applied in a single application after waterblasting or manual cleaning, chipping or scraping. Sandblasting is not a prerequisite. 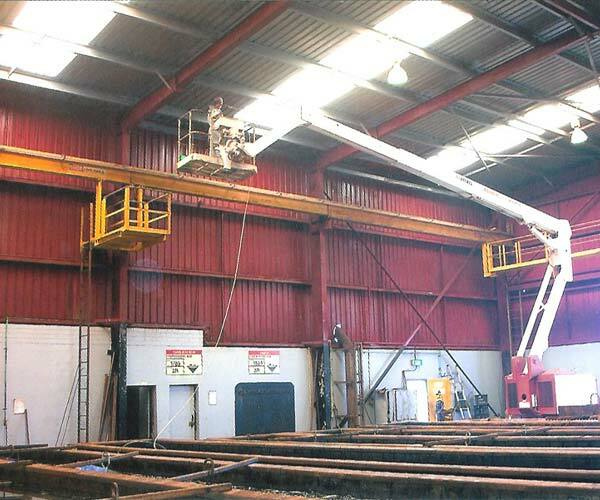 This allows sections of a warehouse, fertiliser store, meat works or galvanising plant to be coated, while the production process is maintained. Critical areas can be coated with the shut down of a single shift. Example: The BHP Billeton Fertiliser store in Townsville, Queensland, Australia, now owned by Incitec Pivot. Each 200 ton bay was prepared and coated in 3-4 days using a 140 foot boom lift. Field evidence supports applying Goldseal to new structures, portals or roof purlins in what is typically be an aggressive environment. Costing this in to the capital expenditure gives an economical maintenance budget, return on investment. Example 1: AFFCO Meat works Horotiu New Zealand 1974 ( New Zealand's largest meat processor ) Goldseal was applied to mild steel portals in 1974. An updated 2004 reference confirms effective protection from surface corrosion since that time, in Ph environments from 1-11, without major maintenance. Goldseal has been applied in New Zealand since 1983 in this Industry and Australia since the early 1990's. The acid fumes generated by the galvanising process will cause most single pack, 2 pack and galvanised coatings to fail in 2 -5 years. 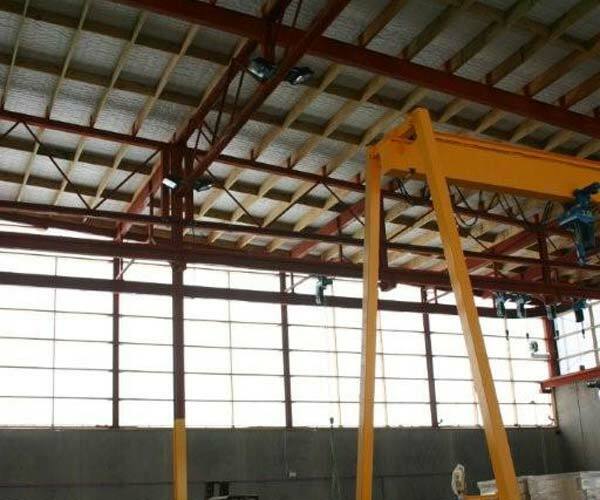 Having used Goldseal for many years leading Australian plants are now applying Goldseal to new facilities as a capital expense due to excellent coating life. Apply Goldseal according to the Industrial Spray Grade Specification. Fletcher International Exports Pty Ltd.
Tatiara Meat Co. Pty Ltd.
T & R Pastoral Pty Ltd.
A.B. Oxford Cold Storage Co. Pty Ltd.
North Port Coolstores (1989) Ltd.